Communicating effectively with your customers is essential if you want to build relationships. But there are many things that can be a barrier to communication. Speaking the same language doesn’t mean there won’t be communication barriers. Foreign accents, cultural barriers, and the use of slang can all work to prevent clear communication. Once while visiting Glasgow, I was completely unable to interpret what a sales clerk was saying to me. After asking for him to repeat it twice, I gave up in embarrassment. Outside of the uncomfortable dialect issue, you expect to understand someone when you speak the same language. Unfortunately, this isn’t true. One of the biggest communication barriers – and one that’s easily avoided – is the use of jargon. Jargon words are meant to enhance communication by simplifying a particular concept. This works when everyone involved in the conversation is aware of the word’s meaning. To someone who isn’t clued in, however, it can be seen as technical snobbery. At the very least, it can confuse the message so the recipient loses interest. Jargon can waste time and money. When documents and emails take longer to read and to understand, people may grow frustrated. Time is wasted when unknown terms have to be explained or are interpreted incorrectly and result in errors of deciphering, which leads to errors in follow-up action. Business opportunities may be lost, along with potential money-making possibilities, when jargon is misunderstood. JargonThere is a good side to jargon. Jargon-philes are able to share their new techno-terms with ease amongst their fellow professionals. As new concepts and ideas are developed, communities can quickly convey essential solutions and strategies with their jargony-sounding words. The trick is to pay attention to your audience and minimize the use of jargon in content created for clients who don’t live, eat, and breathe the particular jargon-speak you do. Because let’s face it, despite the diehards who wish to defend the English language and ban all jargon and buzzwords, we are not going to see an end to it. We love to manufacture words to convey meaning in our ever-expanding landscape of ideas and interests. Jargon often ends up becoming a household term. Various communities use jargon that inevitably falls into common use, including technical, business, and military jargon. The military deserves the award for having the greatest number of jargon terms. Some well known examples include “zero dark thirty,” or the early morning hours, “AWOL” and “MIA” to describe absent parties, and when something or someone is exceedingly difficult to deal with, “boot camp” is tacked on to describe its extreme nature. Jargon-filled content can be risky. Jargon can hurt your SEO because users will search for terms that they are familiar with and reflect the way they speak. Jargon can also be boring. If you don’t understand something, you quickly lose interest. When jargon serves a useful purpose, it can be on-point in its message. Use jargon wisely when you communicate and help your audience out by demystifying anything that might be unclear. When in doubt, leave it out. Save your showing off for karaoke nights and Facebook status updates. Transparency in marketing is absolutely necessary in today’s world of social media. But is it really possible to have marketing ethics? The American Marketing Association outlines its statement of ethics with the core values of honesty, responsibility, fairness, respect, transparency, and citizenship. This is how you build relationships. This is how you enhance consumer confidence. Is a miracle is required for marketers to make this happen? Will brands still try to wiggle out of these high standards of marketing ethics when social media accountability looms over every marketer’s head? Is there room to have a personal opinion as a marketer or business owner when even secret recordings revealed to the world can herald your demise? 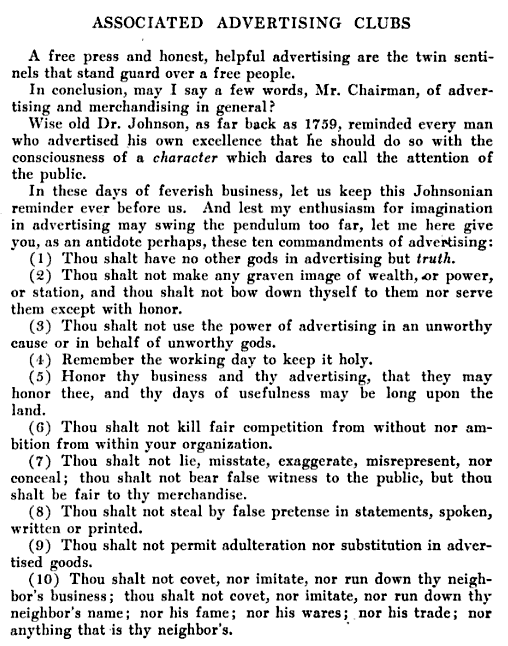 “Thou shalt have no other gods in advertising but truth,” agreed the Associated Advertising Club in 1911 as its first rule in The Ten Commandments in Advertising. Target’s Chief Marketing Officer Jeff Jones applied this rule of truth when Gawker published an anonymous rant by an employee. By being willing to admit the company’s failings, he tried for transparency and optimism in his letter of response, The Truth Hurts. Can we expect fairness and truth online from the public sphere of marketing and advertising or allow a Wild West of order? And where do you draw the line when companies are beginning to think of themselves as publishers of information? The shift from hawking products and services to providing valuable content and engaging on social media should mean more listening and better service from marketers. All the new channels of communication allow companies to reach their audience better and give their audience the access that they desire. 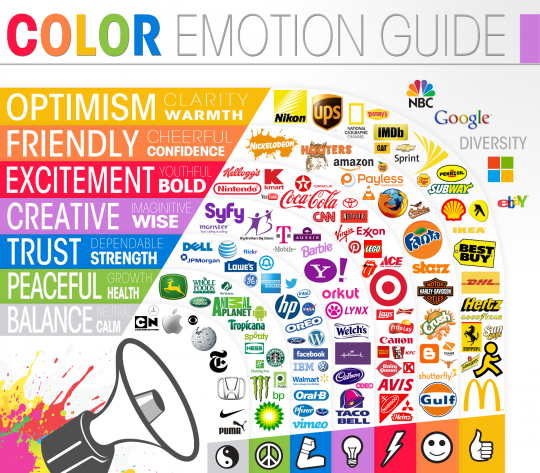 It also allows brands more wiggle room. How can marketers stay within the lines of ethical standards when so much is demanded of them? What are some benchmarks marketers can use to establish marketing ethics? 1. Avoid all defamatory or libelous comments. Since you are legally responsible for anything said by you or your business, be careful to avoid all statements that could damage someone’s reputation. Because businesses are now able to act as a media channel, the same rules that journalists should follow apply to a business. The greater your public profile, the harder you can fall. Anything posted on social media applies. 2. Stay away from controversial topics like politics and religion. If there’s anything that’s guaranteed to put your brand in hot water, it’s taking a stand in a political or religious debate. Social media is meant to give a business a personal context, but these subjects have the potential to offend and alienate people. So unless you want that kind of spotlight on you, avoid it like the plague. 3. Know and follow the rules for each social media network. Twitter’s rules includes permanent suspension of accounts with updates that consist mainly of links and not personal updates, posting duplicate content over multiple accounts, or multiple duplicate updates on one account. The best way to stay on the safe side of the ethical boundary line is to say things online that you would be agreeable to saying aloud at a client meeting or sharing with everyone at an important public event. When Benchmark responded to a dissatisfied customer’s tweet, a representative exhibited the opposite of professionalism, and even demanded that the customer be more professional! Worse, she made a thinly veiled threat to the customer’s future career. Benchmark recovered quickly with all the appropriate, professional actions. Eventually deceptive content will come back to bite you. People will realize the deception, grow dissatisfied with their product or service, and they will vent their dissatisfaction on social media. Negative word-of-mouth takes on new meaning when it’s given an audience of potentially thousands online. Studies show that 70% of consumers trust brand recommendations from friends. This same authority can be used against a company on social media when it is less than authentic. As this letter to the marketing industry points out, marketers can wield a mighty sword with their emotional tactics. Like telling lies, a brand’s lack of fairness will come to light sooner or later. People won’t stand for being tricked and manipulated. Online accountability is ultimately a positive force, and technological advancements in cyber communication will encourage businesses to make decisions that reflect ethical standards. Transparency may not be easy, but it doesn’t require a miracle either.